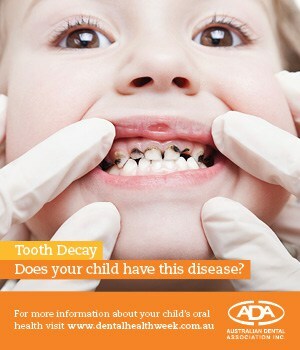 Tooth Decay - Does your child have this disease? Unfortunately statistics show that your child will more likely that not suffer from dental decay, a disease that is entirely preventable! Tooth decay is not an inevitable part of life, and can result in pain, tooth loss, bad breath and a range of associated problems including social stigma and flow-on general health concerns. Did you know that even babies can develop decay as soon as their teeth grow into the mouth? How do you stop decay forming in young children? Brushing children’s teeth for two minutes twice a day is vital and means your child won’t spend all day with harmful bacteria in their mouth potentially causing decay. Flossing may seem like an overkill but as soon as teeth touch they need to be flossed, otherwise only half of the mouth is being cleaned. It is a good idea every now and then to check your child’s teeth when cleaning them. White patches on the teeth close to the gum line that don’t come off after brushing are a sign of early decay and a red warning flag that your child may be at risk of developing further problems. Grey, brown or black spots located anywhere on the teeth are definitely not a good sign and you should book an appointment with a dentist straight away. Be mindful of changes in your child’s behaviour and complaining of a sore tooth, frequently waking at night or regular bad breath can all be signs of decay. It is your job as a parent to protect your child from tooth decay. Teach them that a balanced diet and good dental hygiene are not an option but an everyday part of life. 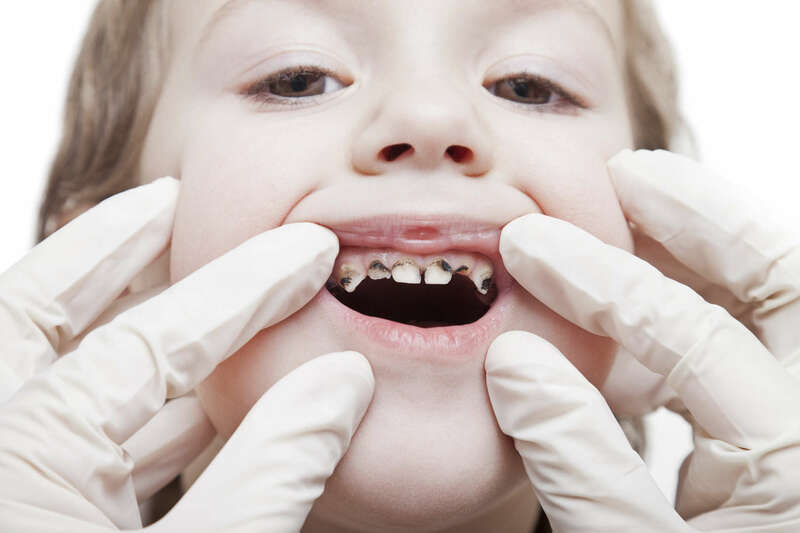 Regular visits to your Medland dentist will ensure that we can prevent dental decay in your child and any areas of concern are detected early before they grow into a serious problem. Medland Dental is here to help and we are more than happy to offer advice and tips that will work for your child and your family. More information can be found in the Australian Dental Assocation's Factsheet on "Tooth Decay".